The hardest challenge any business can have is making sure their message reaches all of their customers who would be interested in what they offer, as well as reaches any potential new customers. Whether it’s an event, a sale, a new product or an inventory restock, it’s impossible to reach 100 percent of the audience that would be interested in what you have to say. But you can certainly get close with text message marketing. Boasting open rates that approach 100% and action rates nearly 20x higher than email, texting your base is a much more efficient way to communicate with highly engaged customers and prospects. And since customers have to sign up, with the option to opt-out at any time, it never feels like spam the way email often does. 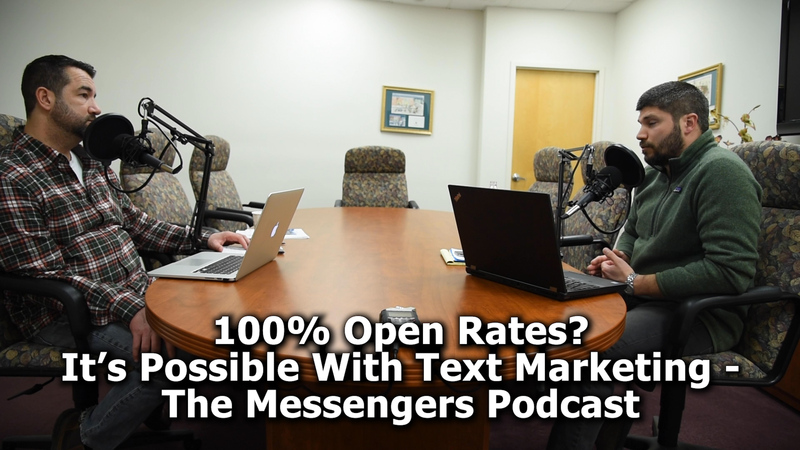 In this episode of The Messengers podcast, Chris Searles and Rob Seifert discuss the success they’ve seen implementing text message marketing for their own clients. They go over what makes this service so much more successful than a traditional email list, some of the initial skepticism their clients had and how the service ended up exceeding their expectations.